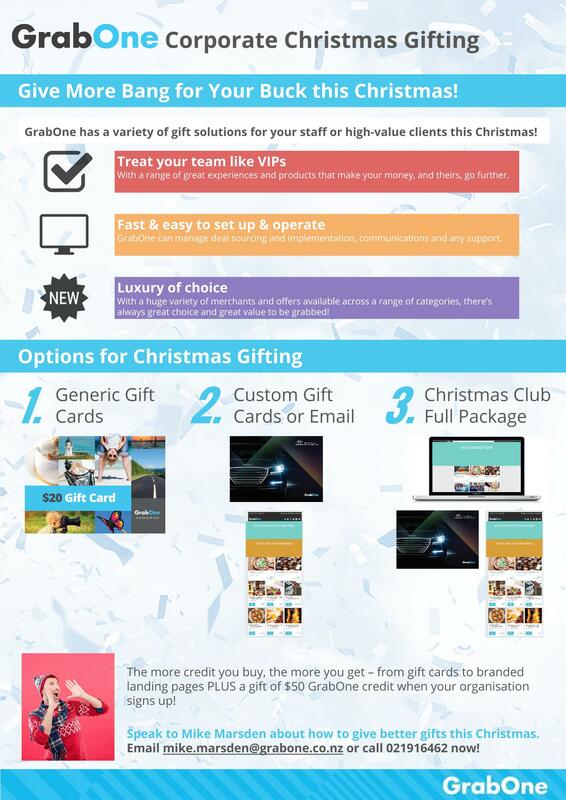 GrabOne can help you take care of your Christmas corporate gifting. GrabOne offers your company a range of options – from simple gift cards, through to fully branded custom packages – and offers your recipients value and choice. You only have to pay for the credit you buy, and custom branded solutions are included with high-value purchases. Speak to Mike Marsden about how to give better gifts this Christmas. Email mike.marsden@grabone.co.nz or call 021916462 now!